The assassin sits alone in the church, quite, contemplative, and silent. Lightning flashes in the flickering glow of the candles as he studies the face of the Virgin Mary. A man sits next to him. A smile passes between them. And then a briefcase. Money, a passport, a picture, and a pistol. The assassin stands and leaves, his coat billowing behind him like a priest at Vespers. He is a hero. He is a villain. He is Ah Jong. He is a killer. 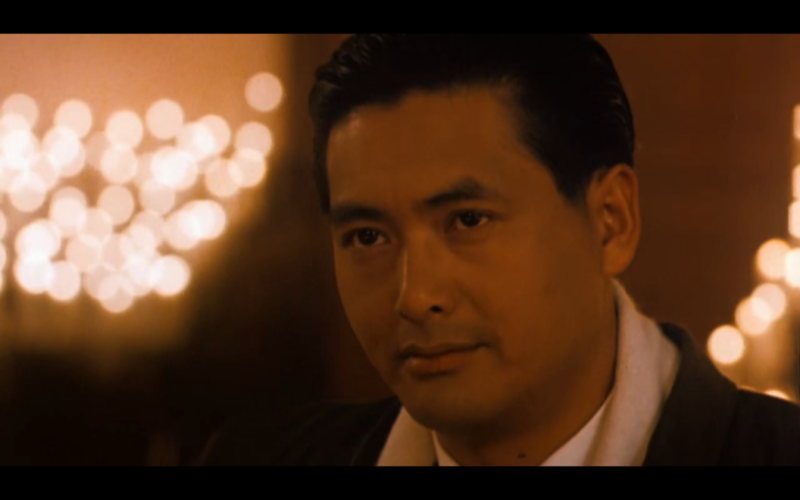 The protagonist of John Woo’s The Killer, Ah Jong (Chow Yun-fat) is one of the action cinema’s most enigmatic and influential characters. As a ruthlessly efficient killer, he operates under a strict code of conduct: only kill bad people, never harm the good. But his tightly constructed world comes crashing down after accidentally blinding an innocent nightclub singer named Jennie (Sally Yeh) during a hit. Devastated, he decides to do one last “job” to pay for a sight-restoring surgery for her. But in his attempt to leave the underworld, this brutal yet good-hearted man will find himself pulled into a conflict which will nearly burn the Hong Kong underworld to the ground. Woo’s obsessive preoccupation with morality in an amoral world can be traced to two different sources. First, it comes from his own Christian faith. The most obvious Christian influence is the repeated use of the Catholic church as a setting. 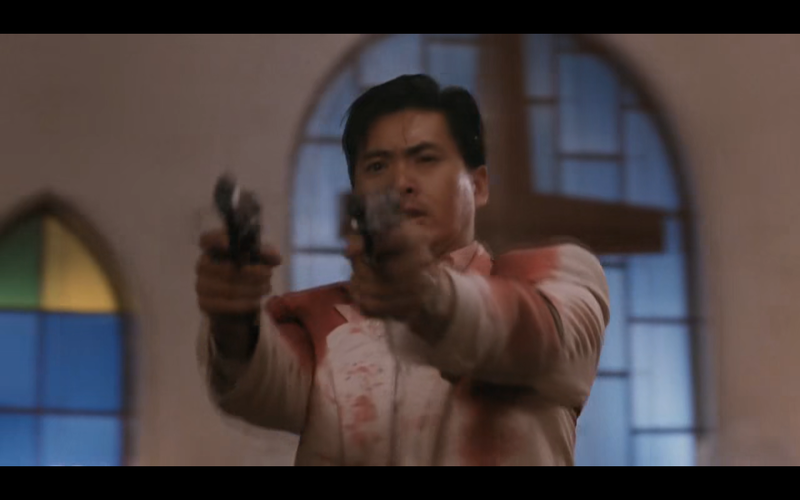 The church is where Ah Jong receives his “jobs,” where he goes to have bullets removed from his back (in a scene which seems to emulate Christ being whipped prior to his crucifixion), and where the climactic shoot-out takes place. Woo explained that the setting of the final gun-battle in the church was crucial as it illustrated an important point: war between humans turns heaven, in this case represented by the tranquility and peace of the church, into hell. 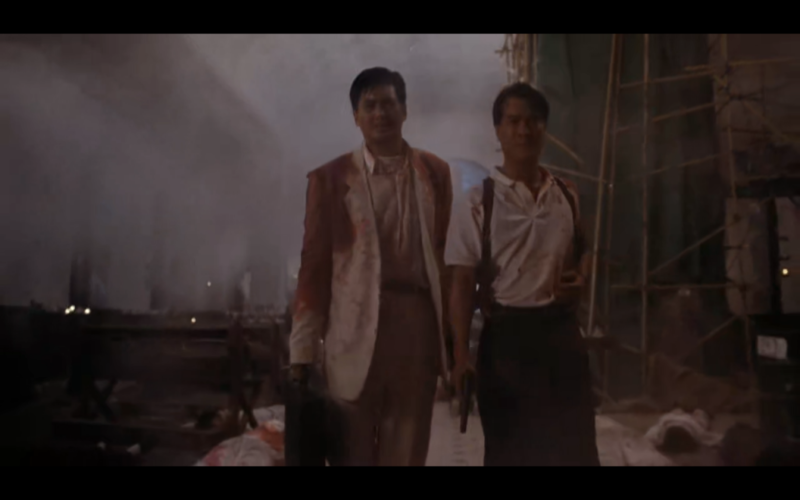 The underlying Christian idea of redemption is also pivotal to Ah Jong’s story arc. The church therefore becomes a tool to make this implicit theme explicit. The second explanation for Woo’s themes comes from his love of foreign movies, particularly French and American films. The Killer is dedicated to Martin Scorsese and Jean-Pierre Melville comes as no surprise. From them he borrowed stylistic techniques, such as Scorsese’s use of slow-motion during non-action scenes to highlight emotional extremity, and story beats, particularly from Melville’s 1967 film Le Samouraï which also follows the doomed relationship between a hit-man and a nightclub singer. But there are more than just cosmetic similarities with Scorsese and Melville. Pay attention and you’ll spot the themes that came to define their very filmographies: Scorsese’s obsession with Catholic guilt, machismo, and the purifying effects of violence and Melville’s fascination with the ideas of honor-among-thieves and personal betrayal. Like any true artist, Woo didn’t satisfy himself with merely copying his heroes: he transcended them with his own ideas and innovations. 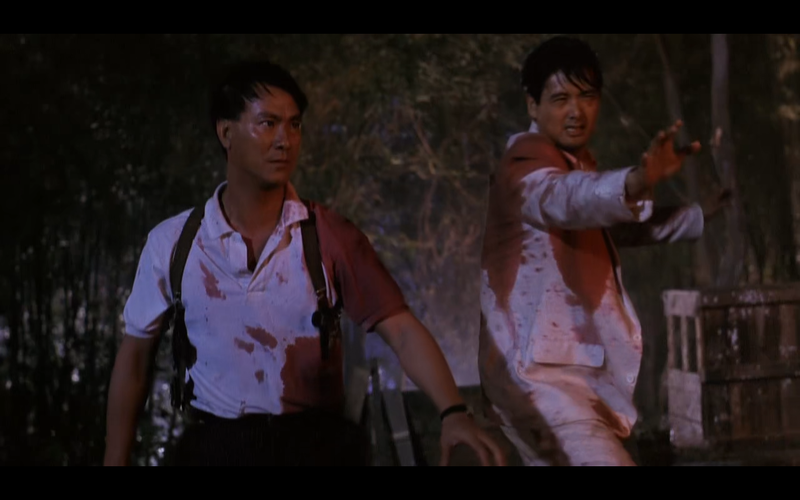 In addition to featuring gun fu, essentially gun battles filmed with the extensive and elaborate choreography of a martial arts fight which he invented in his earlier film A Better Tomorrow (1986) (which in turn inspired filmmakers as varied as Luc Besson, Robert Rodriguez, and Quentin Tarantino), The Killer continued in the Hong Kong tradition of heroic bloodshed cinema. Similarly pioneered by Woo, heroic bloodshed movies were a genre which largely revolved around intense, stylized violence and themes of brotherhood and honor, frequently between people on opposite sides of the law. 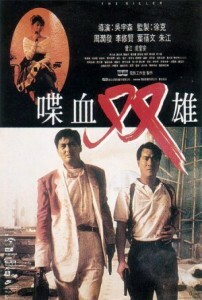 This is best reflected in the character of Detective Li Ying (Danny Lee). Originally tasked with capturing Ah Jong, he grows to respect him after witnessing him perform an act of mercy on a little girl who is accidentally shot by Triad members. That respect eventually grows to reciprocal affection which sees Ah Jong and Li Ying, robber and cop, team up to fight back against the murderous Triads and save Jennie. The idea of the good guy and the bad guy aiding, or at the very least respecting, each other would be imitated and repeated many times, particularly in Hollywood: it can be seen in the relationships between Clarice Starling and Hannibal Lecter in Jonathan Demme’s The Silence of the Lambs (1991); Neil McCauley and Lieutenant Vincent Hanna in Michael Mann’s Heat (1995); and Frank Lucas and Detective Richie Roberts in Ridley Scott’s American Gangster (2007). At its core, The Killer is about honor and righteousness set against a background of brutal, almost operatic violence. It was received by many Western critics as an art film. But that is missing the point. Even Woo confirmed that he never intended to make The Killer an “art film.” It is a simple movie about not-so-simple characters living and dying, hoping and striving, trying and failing for very simple ideals.